"Extraordinary...If you take up no other novel this year, or next, this one will suffice to hold, to disturb, to enlighten and to inspire you." Early in this century, rivers of oil were found beneath Oklahoma land belonging to Indian people, and beautiful Grace Banket became the richest person in the Territory. But she was murdered by the greed of white men, and the Graycloud family, who cared for her daughter, began dying mysteriously. Letters sent to Washington, D.C. begging for help went unanswered, until at last a Native American government official, Stace Red Hawk, traveled west to investigate. What he found has been documented by history: rampant fraud, intimidation, and murder. But he also found something truly extraordinary--his deepest self and abiding love for his people, and their brave past. 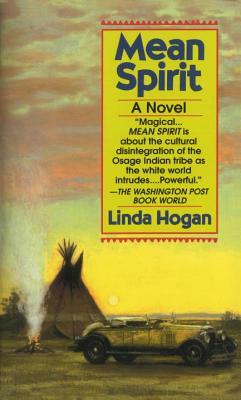 Linda Hogan was a finalist for the Pulitzer Prize for her novel Mean Spirit. Her other honors include an American Book Award and a Guggenheim Fellowship. She lives in Tishomingo, Oklahoma.